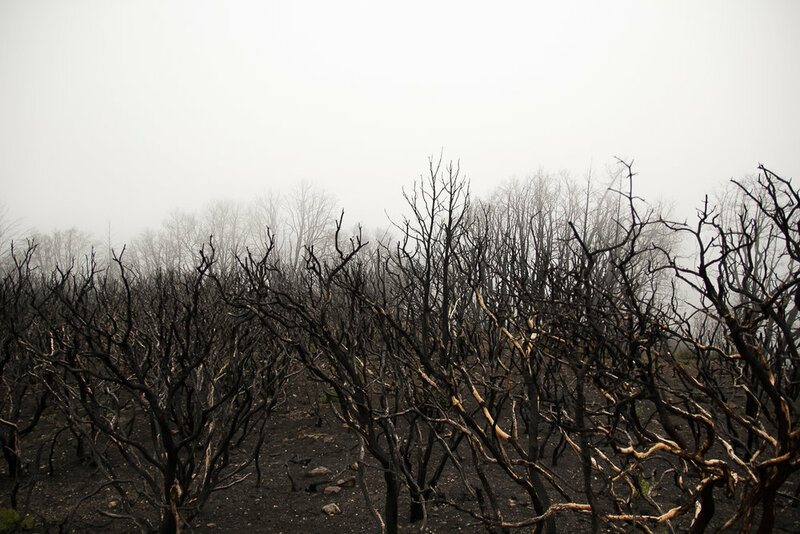 Fires wipe out and hinder woody vegetation, but herbaceous (non-woody) species can rebound quickly. 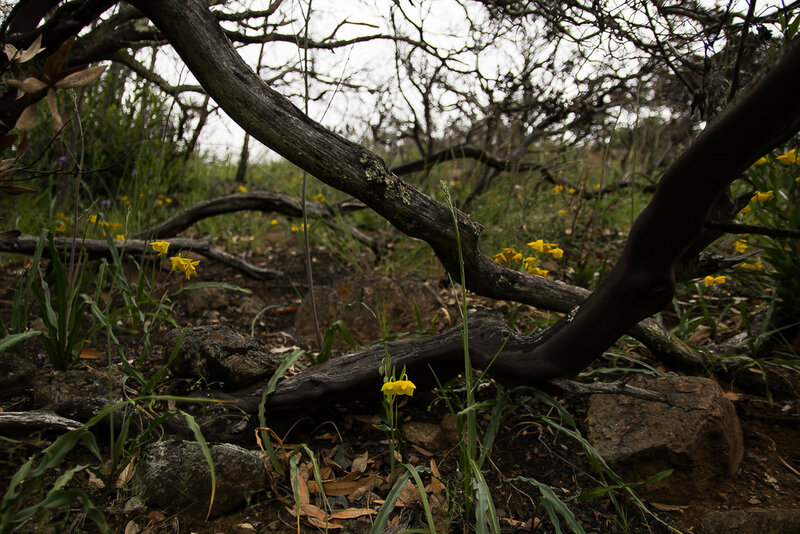 Many plants have viable seeds stored in the soil for years, waiting for disturbance. 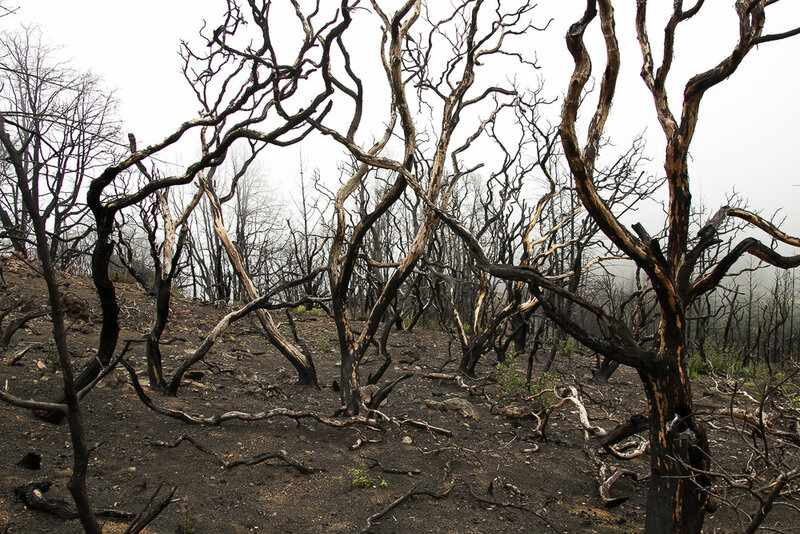 Fire reduces crowding, allows for more sunlight, and provides fresh nutrients. 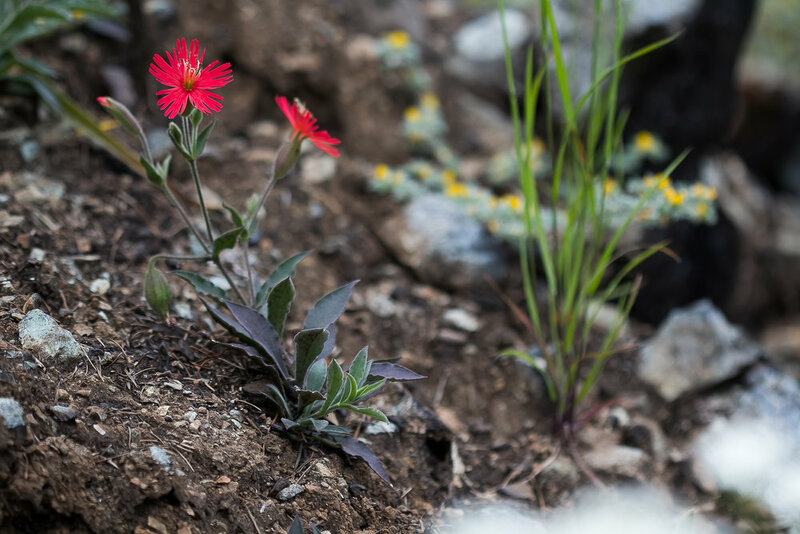 The result can be bigger-than-usual blooms of both familiar and rare plants. 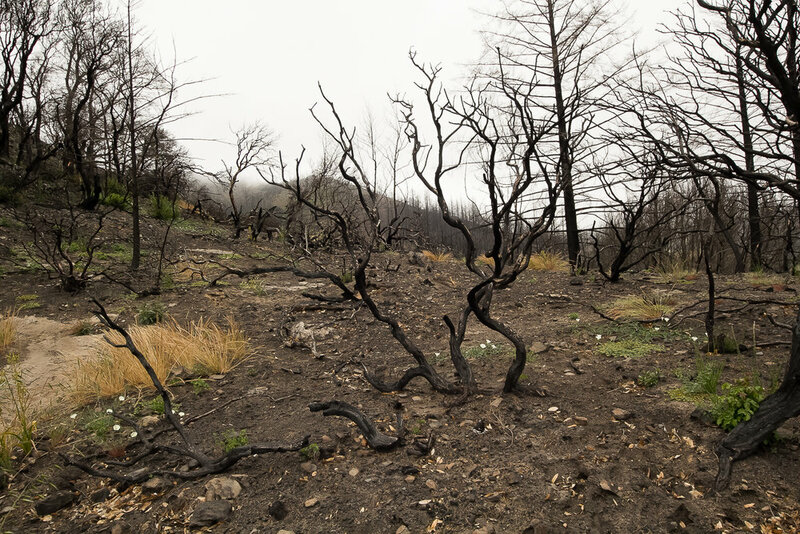 Much of Sonoma County's Hood Mountain Regional Park in Santa Rosa, CA was burned in the Nuns Fire of October 2017. The following photos were taken in the park on May 13, 2018. The prolific blooms of some of my favorite spring flowers kept my finger hot on the shutter button. 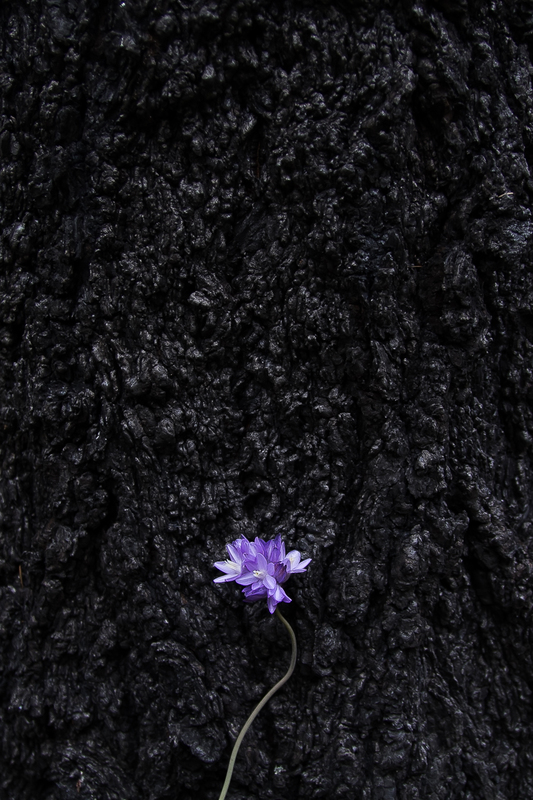 Blue Dicks (Dichelostemma capitatum) contrasted against a burnt tree trunk. California Chicory (Rafinesquia californica). 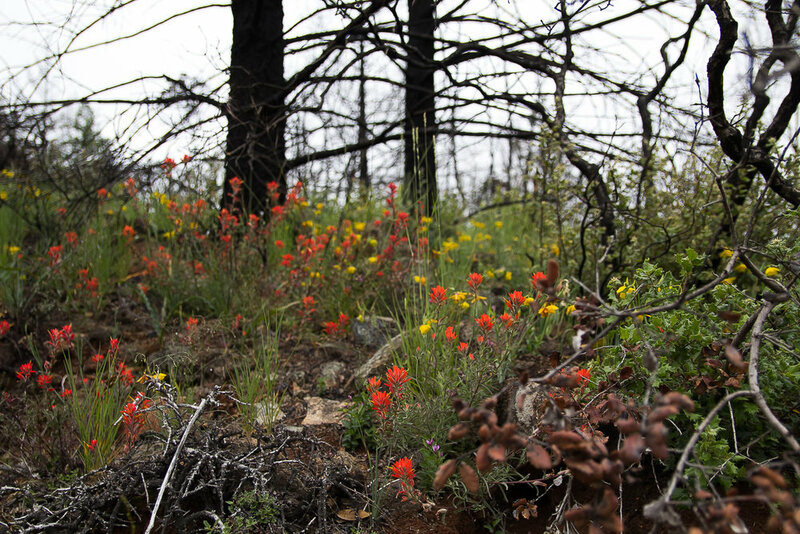 This species is often seen after fires. Its seeds germinate well in the presence of burnt wood. 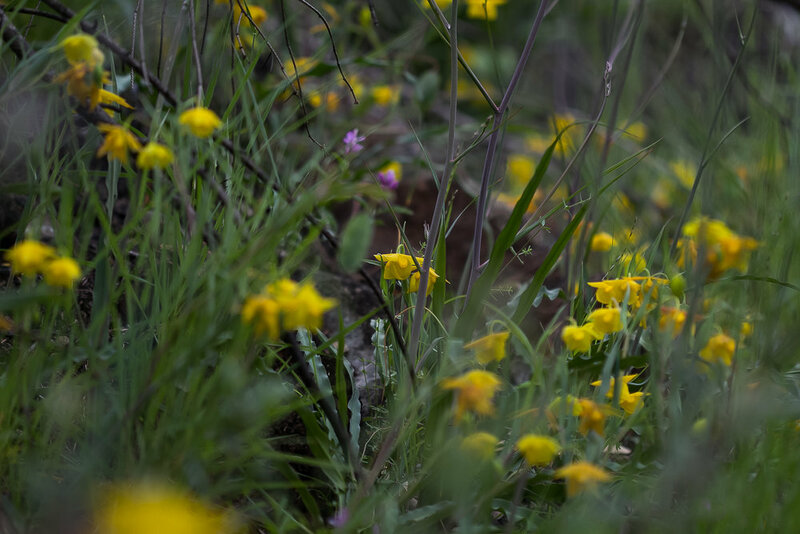 Fremont's Death Camas (Toxicoscordion fremontii), and a California Poppy (Eschscholzia californica). Fairy Lanterns (Calochortus amabilis) in the 1000's. 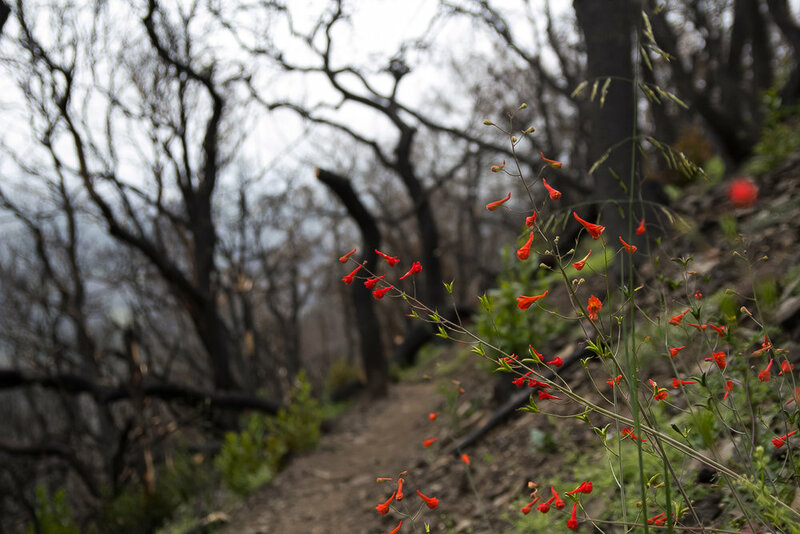 California Indian Pink (Silene laciniata ssp. californica). Infrequent writings and photos with a focus on outdoor adventure and natural history.